We want to make cities of India free from plastic carry bags. We envision a future of India greener than today, we want to create a greener tomorrow. We all know there is something wrong with our current system and we are not doing enough to keep our environment livable. It is getting worst every day and and every now and then we hear people saying its impossible to reverse this effect and we are moving towards a catastrophe. Yes! of have started believing that the world can never be good and green like the old times again. We at EcoAd believe that it’s possible to reverse this effect. EcoAd wants to see a tomorrow, greener than today. 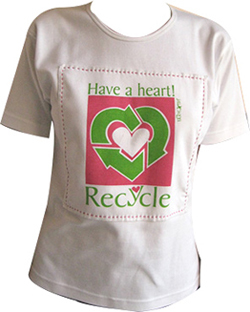 Replace conventional non eco-friendly products with economically viable eco-friendly products. We are starting by replacing plastic bags with paper bags. As a side effect we also provide advertisements having a lasting, deeper and wider impression. The last interaction of a vendor with their customer is the packaging. Providing a recycled, eco friendly packaging which is reused leaves them feeling really good. Involving small scale industries promotes the growth of the rural sector. Training hard-working labor and providing them with the skills to manufacture high quality products is our way to ensure that goodwill spreads through all sections of society. The Great Pacific Garbage Patch, a floating island of plastic midst the Pacific ocean, estimated to be “twice the size of the continental US”, is shocking evidence of plastic waste taking its toll globally. In India, 1500 tons of plastic waste is generated every day! 80% of this is plastic bags. Despite attempts to reduce the usage of plastic bags, they are still chosen over paper, as they are more commercially viable. Our approach offers a cheaper and a more environmentally friendly alternative. We target elimination of polyethylene from our culture and society. Every day we are Getting closer to it. Closer we go more we realise the magnitude of this issue. What also keeps us going is the fact every time a bag is sold a financially week family is becoming closer to better Education, Better healthcare, a better society. We learn a lot from the women we are working with. Their enthusiasm is contagious, as is their ability to understand and appreciate quality. We have maintained a 100% product quality delivery to date.